SHARKS + STEEL CAGE + ICY COLD WATER = ROMANCE? Since this week is the 25th anniversary for Discovery's Shark Week, we thought it's time for a little visit to Dyer Island in South Africa - otherwise known as Shark Alley. The pictures are courtesy of Justin Rosenburg, who took a day out from his busy schedule of tranquilizing lions and rhinos to do a little diving and photographing . If you ever have a sick lion or elephant - or need someone to take pictures of you locked in an iron box with the most ferocious alpha predators in the southern oceans, Justin's your man. Anyway, the question for romantic travelers is: What’s romantic about icy water, buckets of chum, and one of the world’s most powerful killers? The answer is in the following unscientific but often-accurate formula: Adventure + Attraction = Romance. Picture the hero and heroine of every action or adventure movie you've ever seen. Snakes, sharks, challenge, and danger in an exotic setting combine to bring any couple closer together. Was this such a good idea? Humans and sharks have had a bit of a schizophrenic relationship over the past 40 odd years. Sharks have never been as cuddly as puppies or koala bears, and after a little movie called Jaws hit the theaters sharks became the most hated animal on earth. They were almost hunted out of existence and there is still a whole generation afraid to go swimming in the ocean at night. Over the last couple of decades the pendulum of popular culture has swung to the other side. 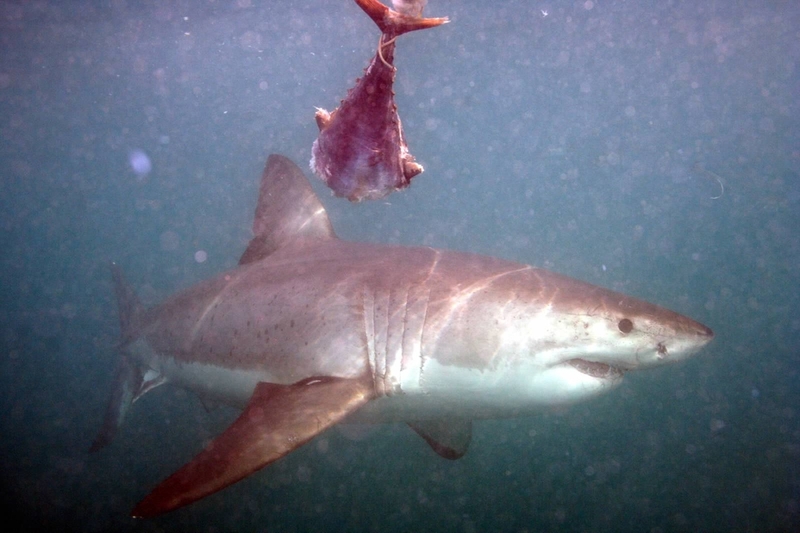 Conservationists work to save sharks, scuba divers cavort with the friendly ones, and a growing group of travelers is now paying to climb in a steel cage with the big mean ones. 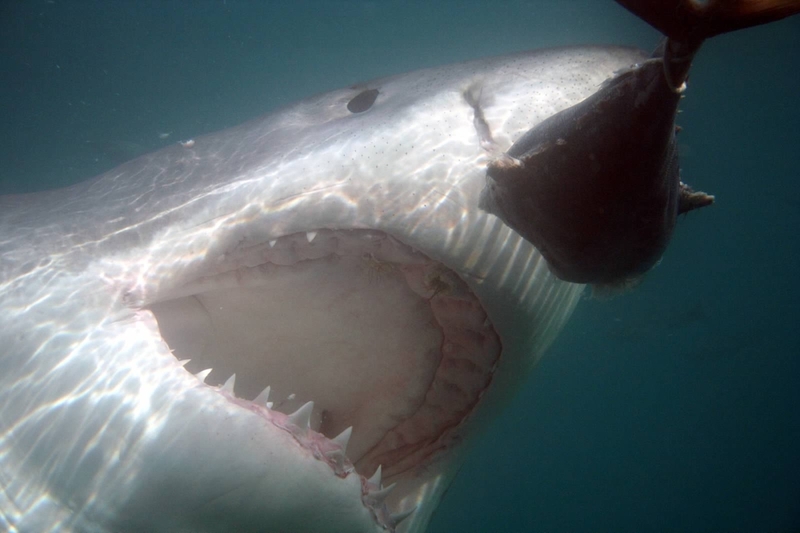 If you’d like to see a great white shark up close, Gansbaai, South Africa is your place. Operators will take you by boat to Shark Alley off Dyer Island. They lower a steel cage, chum the water, and send the tourists down. Viewing the sharks from the safety of your steel cage is incredible, but the view from the deck isn’t bad either. The boats typically spend a couple of hours anchored offshore. That’s plenty of time for diving and for lounging on deck, sandwich in hand, watching these alpha predators in motion.